The blurb: George Foss never thought he’d see her again, but on a late-August night in Boston, there she is, in his local bar, Jack’s Tavern. 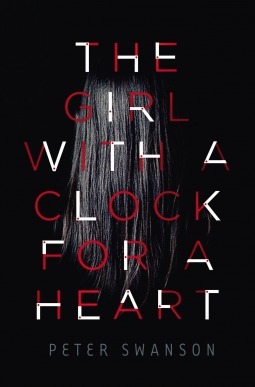 My review: This book has a beautiful cover, I was expecting to read a Scandi-thriller or some out there psychological novel where up was down and down was up. That in essence was correct but this novel has more elements of the hard-boiled US crime novels of the thirties. Damsels in distress, drinking in shady bars, swindling femme fatales and the hard-working hack. I couldn’t put this book down, even though it wasn’t what I had hoped it would be, it had pace and action by the bucket load. The story crosses two times in George Foss’ personal history, his first meting with Liana at college and his present day entanglement, which is the perfect word for their relationship. You can’t help but sigh at George’s continued fascination with a woman who is clearly screwing him over. But it wouldn’t be fiction if everyone was nice so there’s some interesting twists in here to keep a reader happy and some great descriptive moments. A rip-roaring crime novel that chugs along, perfect for fans of US hard-boiled Coben-esque books.